The new 2017 Wellcraft 222 Fisherman and 222 Fisherman Scarab edition show what boat-building experience adds up to: a better boat. 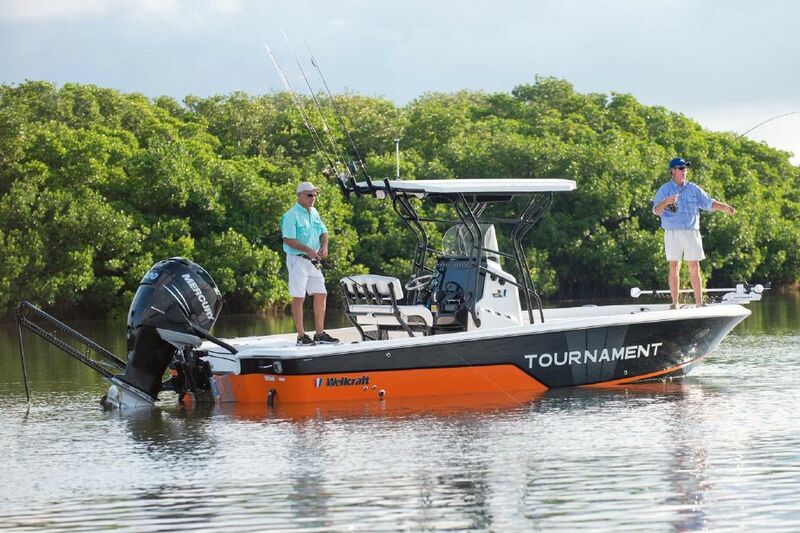 We first learned Wellcraft was up to something new when we spotted the 241 Fisherman Bay Boat last year, and now that notion has been reinforced by our first test run on the 2017 Wellcraft 222 Fisherman. Note that this model is designed for big water, and despite the close proximity in name it’s a very different boat from the 221 Fisherman, another bay boat we also checked out last year. It is, however, essentially a mirror image of the “Scarab Offshore” version of the 222, which adds hullside graphics and a tri-tone gel coat into the mix. 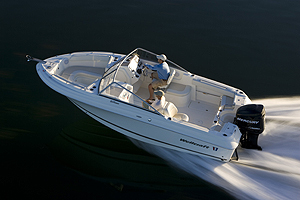 Jump aboard with us, for a quick sea trial. As we note in the video, smart interior design is what really sets this boat apart from similar center consoles built by companies with less experience. How many 22’ center consoles have you been on with a front console entry to the head compartment? A dedicated stowage compartment for a five-gallon bucket? Transom-mounted rodholders in addition to those in the gunwale? Padding on the under-gunwale rodracks, to prevent your reels from banging against fiberglass? These are touches you simply don’t see on Johnny-come-latelys. 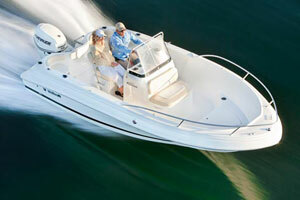 Wellcraft also applied some of the latest developments in boat design. The forward seats, for example, have removable backrests. The swinging fold-away type is easier to stow, but many boats in this size range don’t even address the issue of backrests for the bow seats. There’s also a seat-back built into the forward end, so when the boat isn’t in motion you can comfortably recline facing aft. The helm provides more evidence of modern thinking, with a monstrous flat area just waiting for your dual flush-mounted MFDs, waterproof lighted toggle switches with breakers lining the top, and a multi-level foam-padded footrest down below. 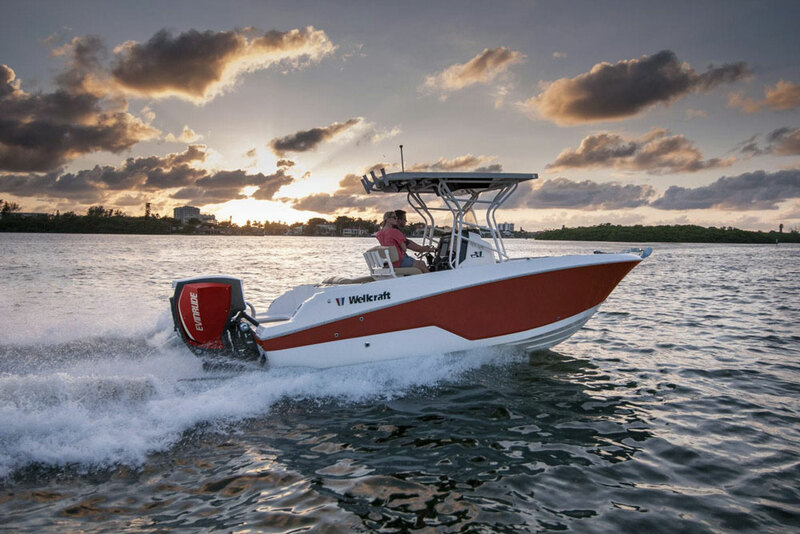 Although the 222 Fisherman has a contemporary look, Wellcraft’s 60 years-plus of experience can be seen throughout the boat. The boat’s performance is every bit as up to date. With a Yamaha F250 you’ve got to be psyched at the prospect of cruising in the mid 30’s and coming darn close to 50 MPH at top end. Just as important, however, is the efficiency the hull delivers at these speeds. Cruise in the mid 30’s and you’ll get just a hair under three miles to the gallon. If you can force yourself to pull back on the throttle a bit and run at 22 MPH—good luck with that—you’ll see MPG jump up to over 3.5. 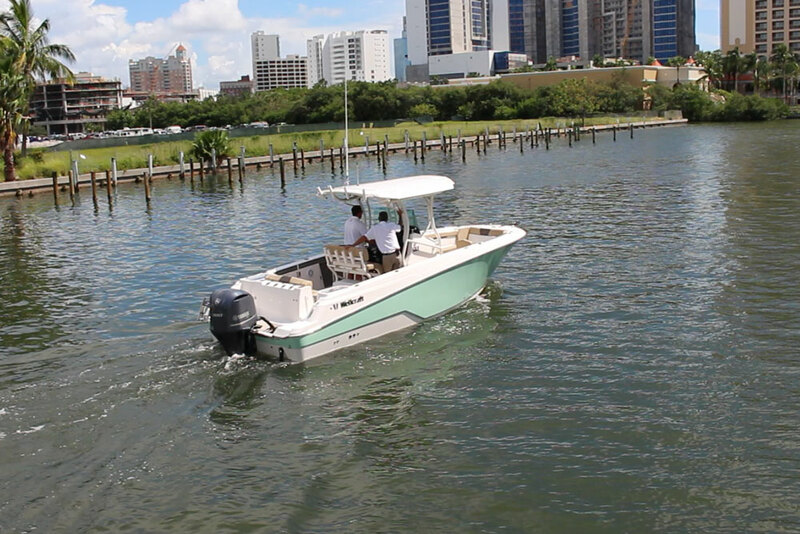 And, as you could see in the video, it was a bit choppy when we ran the 222 Fisherman. You might also notice by watching from 0:55 through 1:05, the boat barely moved while running through that chop. Credit a 20-degree transom deadrise and solid construction. Speaking about construction: We were happy to find some of the hallmarks of a well-built boat throughout the 222 Fisherman. Hatches, for example, are fully finished on both sides, are gasketed where appropriate, and are supported by gas-assist struts where appropriate. 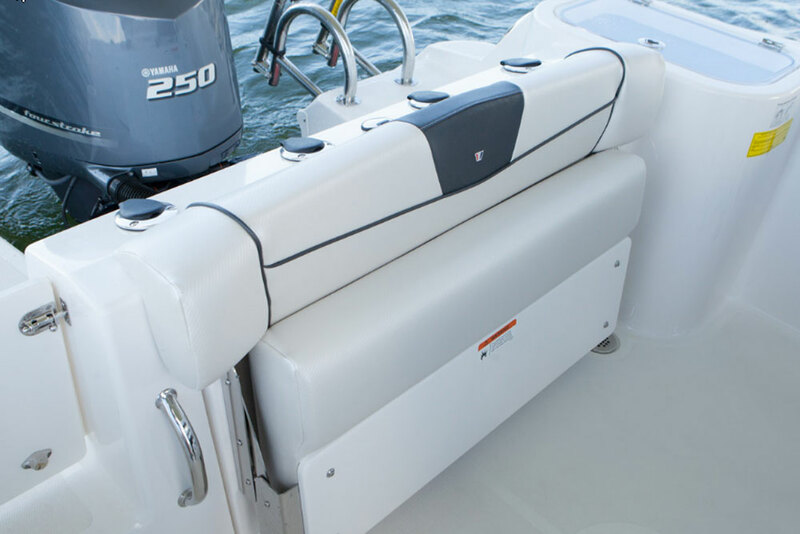 (One exception: the thin cable used on the anchor locker hatch isn’t the beefiest, and we’d suggest an upgrade here). The upholstery and vinyls are thick and high-quality, and accessories like rodholders and cup holders are stainless-steel. Look to the hinges on the fold-out transom seat, or the pull-up cleats, for more evidence. The metal is again beefy stainless-steel. Everywhere you look on the 222 Fisherman, your eyes are greeted with beefy stainless-steel instead of the cheaper parts seen on many boats. 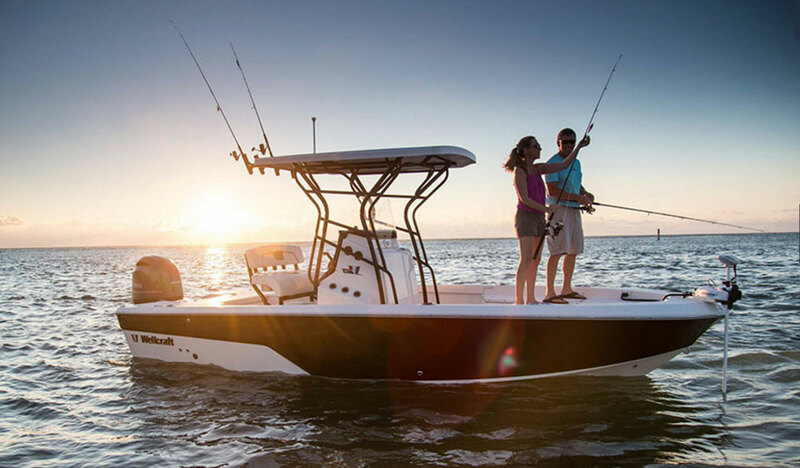 The use of quality construction materials is good news, but here’s some even better news: the 222 Fisherman is still priced competitively, even with plenty of boats that don’t really make the same grade. You can get into one in the $50,000 range. With some optional features and a reasonably-sized powerplant, as long as you don’t get too crazy price won’t get too far north of $60,000. Remember that even a “cheap” center console in this size range with a comparable powerplant is likely to run you 40K or more. 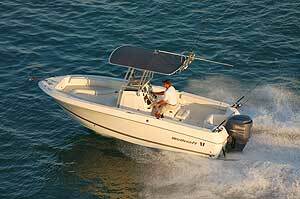 Other Choices: The Key West 219 FS is built to a similar level but has a side console entry, is lighter, and since it posts similar performance with a smaller powerplant, usually costs a bit less. 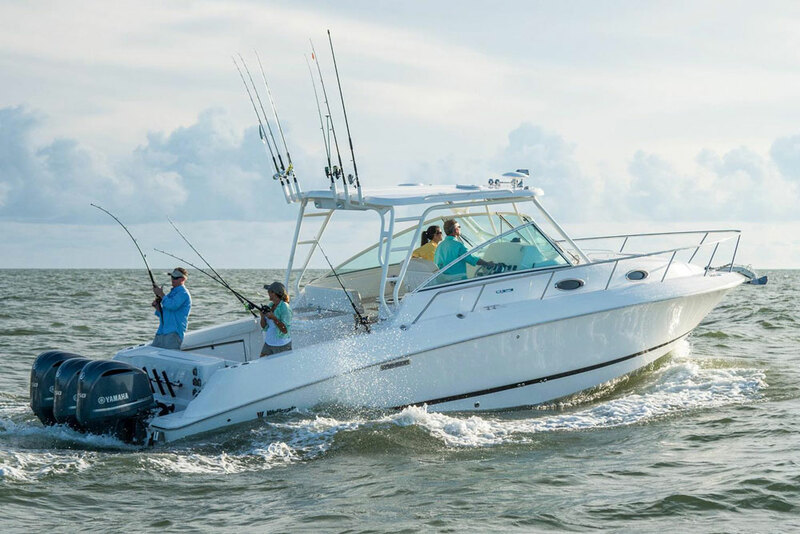 A slightly larger option would be the Sportsman 229 Center Console, while a slightly smaller one to check out is the Cobia 201 Center Console. 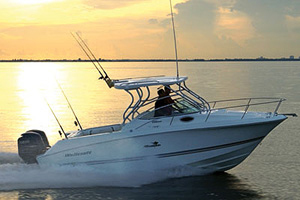 See Wellcraft 222 Fisherman listings.